Over 200 talented and energetic senior high school students from around the Turks and Caicos rocked the Gustavaus Lightbourne Sports Complex at the 3rd Annual Youth Explosion this past Friday. The tourism, culture, and environmentally centered competition saw third through fifth form students of Wesley Methodist, Maranatha Academy, Helena J Robinson, Clement Howell, and Marjorie Basden High School participating in three categories namely: original song, dance, and a costume competition which required the costume to be made of recycled or recyclable materials. All of the performances were inspired by or based on the theme: “Tourism Is Key … It Starts with ME”. Prior to the start of the competition, Minister of Education, Hon Josephine Connolly challenged the students to see the limitless potential of TCI; she called the Turks and Caicos a unique destination and congratulated the various tourism partners and the TCI Tourist Board for the initiative of Youth Explosion 2017. Tourism Minister, Hon Ralph Higgs also touted the bright future of tourism for the TCI in his remarks and encouraged students to consider a possible career in tourism. 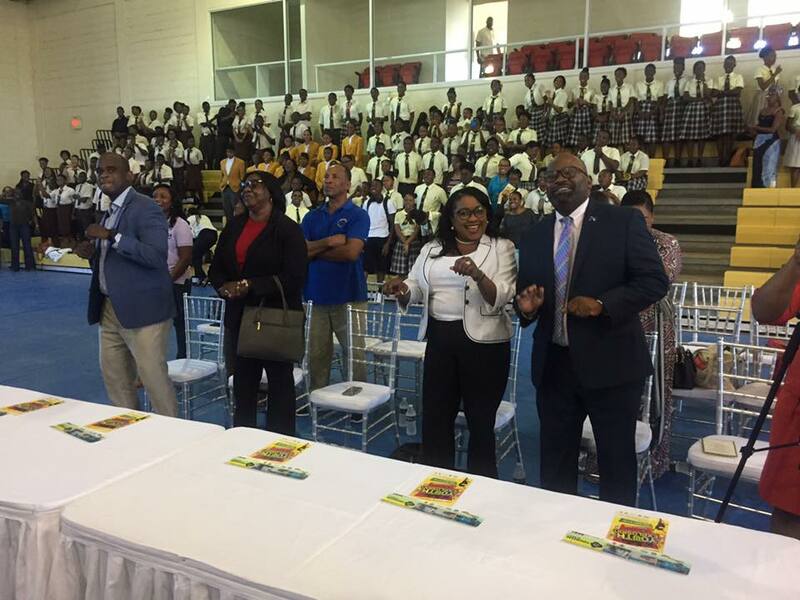 Executive Director of the TCHTA, Stacy Cox got the crowd going by inviting students, adults and even the dignitaries in attendance to join her in dancing the popular song “Watch Me (Whip/Nae Nae)” by Silento. The participants were also charged by guest speaker Mr. Ramon Andrews, Director of Tourism. To reward the efforts of the participants, designated winners of each category will receive prizes to experience the best in hospitality in the Turks and Caicos Islands. The winning school of the Costume Competition received a two-year scholarship, funded by the TCHTA, for any graduating participant interested in studying Hospitality or Tourism Management at the Turks and Caicos Islands Community College. Other prizes and support for the 3rd Annual Youth Explosion were received from Kalooki’s, The Palms, Ben Stubbenberg, Rock-It-Hot Fitness, Lupo, Kitch Penn’s Junkanoo Museum, Talbott’s Adventures, Flow, DECR, the Youth Department and the TCI Tourist Board among others. A joint initiative spearheaded by The Tourist Board, TCHTA, DECR, Environmental Health Department, Youth Department and Royal Turks & Caicos Police Force, the Annual Youth Explosion is an extension of the annual Tourism Environmental Awareness Month (T.E.A.M.) activities, usually observed in November of each year. T.E.A.M. is aimed at creating tourism and environmental awareness among the population that will positively improve the Turks and Caicos Islands for the pleasure and livelihood of its citizens, the delight and comfort of our many visitors, and to educate our people on the importance of tourism to the island and the region.